I can't find any pictures of Charlotte the cat. Maybe I have some hard copies somewhere. I'll have to keep looking. I have her story, though, and Charlotte had, for my money, one of the best origin stories of any cat I've known. I used to live next door to a woman who rescued cats. One day on the way to work the woman saw a gorgeous white stray with black markings sucking up to people for attention but the woman was late to work so she passed up the opportunity. A week later she passed the same cat and wasn't late so she picked her up. I was between cats and after very little discussion I said I would take this cat in. I named her Charlotte to go with my dog, Emily, and we lived a nice life for a few weeks. My apartment had low windowsills and Charlotte was agile but one day I noticed that she kept missing the jump to the windowsill. Her center of gravity was off. She was pregnant. After the kittens were born and we did the math on feline gestation we figured out that Charlotte got pregnant during the week between my neighbor's first and second sightings of her. Oops. I thought of getting a kitty abortion for her but my timing there was off, too, so I let things slide. During her pregnancy her true nature came out and one night, when I accidentally backed into her while picking laundry up off the floor she attacked my bare leg so badly that I bled in several places and was so terrified I locked myself in the bathroom and called my daddy. In the following days Carmencita renamed her The Mad Carlota. It was apt. It was that attack that eventually led me to keep two of the kittens and send Charlotte and one other kitten to live with my mom where they could be outside. (The remaining two kittens were adopted by Pony Express.) Charlotte flourished there, going back to being her sweetest self as long as she didn't have to stay inside. She tested several spots in the neighborhood until she settled on a permanent home down the street from mom. She lived on a porch in a reinforced box filled with blankets and was free to come and go as she pleased. She was also fed by my mom and the porch owner so she lived pretty high on the hog. 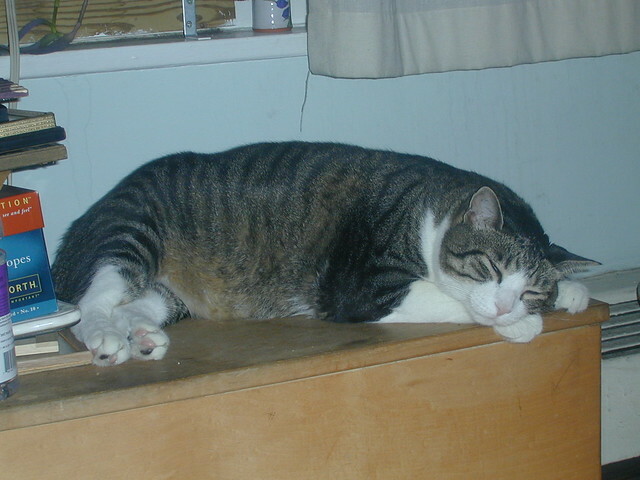 Mom called last night to say that last weekend Charlotte went to the great reinforced, blanketed box in the sky. She had congestive heart failure and imminent failure of other organs trickling down from that. She couldn't breathe easily and was suffering. My mom is really good at knowing the right thing to do for animals and she knew she had to let Charlotte go, and help her along the way so that's what she did. There are a lot of places along Charlotte's road where you might say we failed her. The thing is, if she'd stayed in Brooklyn she might have been killed or she might have been adopted by a deli and continued to pump out kittens her whole life. She might also have lived confined with me and hated it. On a relatively quiet side street in New England The Mad Carlota found some people who let her live life on her own terms and in the end my mom let her die on her own terms, too. I think we should all be so lucky. Please follow the Treats for Everyone protocols. Feel free to ask for clarification in comments if you need it. 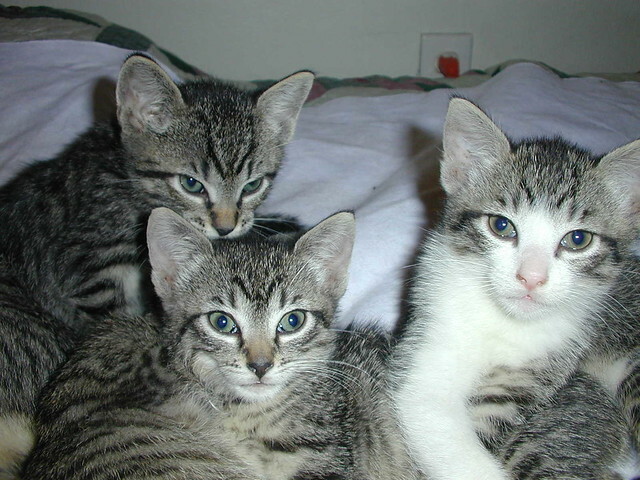 *Photos are of Charlotte's kittens who are now 13-years-old. beautiful life, treats abound, lovely beasts all around. xo.